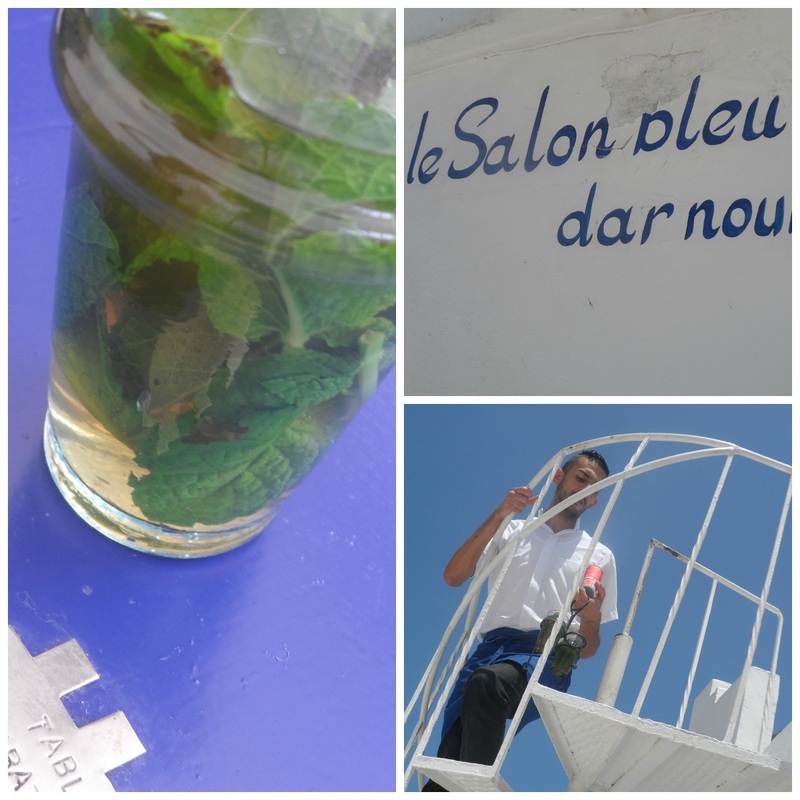 Just to prove that do I actually drink tea, sometimes even in Tangiers . 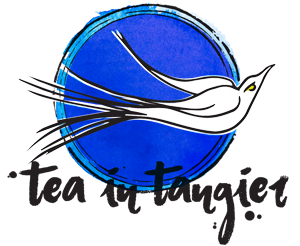 . . and that the title for this blog is not simply a result of my linguistic obsession for alliteration! 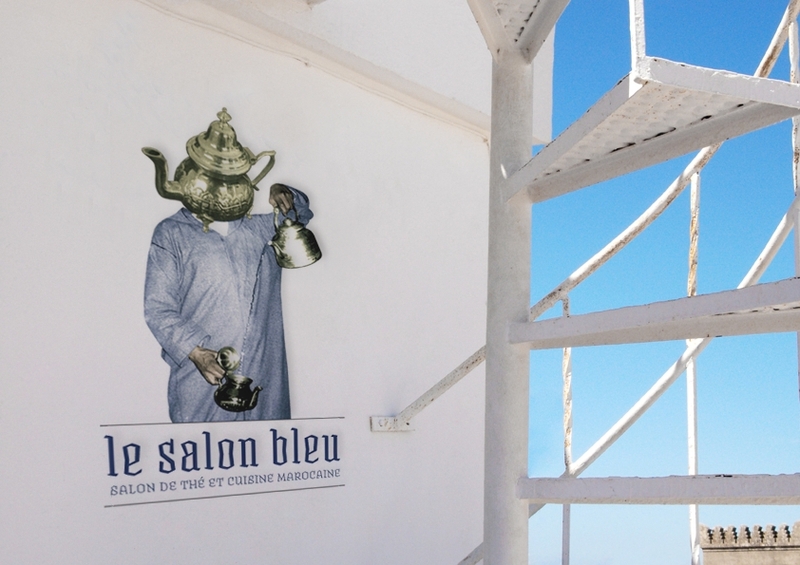 This morning you could have stumbled across me at le salon bleu, a tea lounge overlooking the kasbah where I went to escape the midday sun while sedately sipping some mint tea! 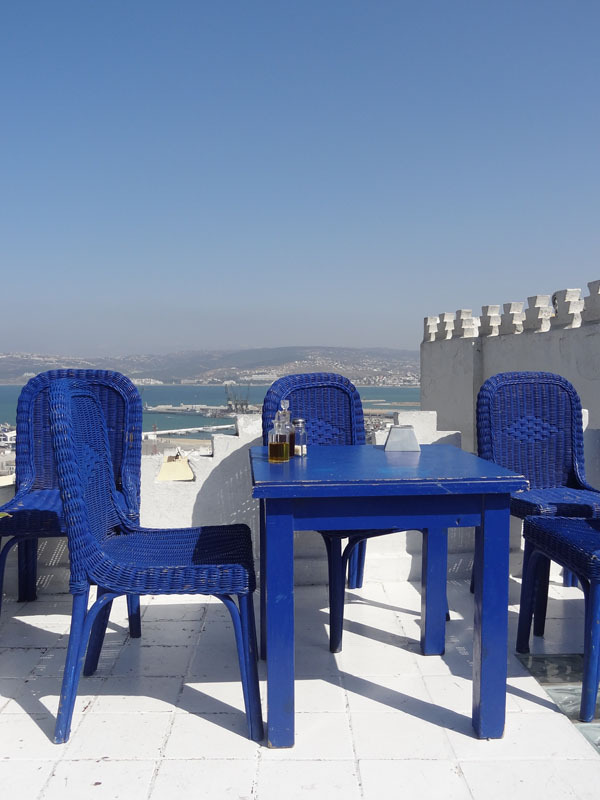 I had had my fill of the sights and sounds of the Grande Socco – the main square of Tangier that leads into the medina and surrounding shops and souks – and having spent the morning negotiating fabrics & colours, sizes & threads . . . 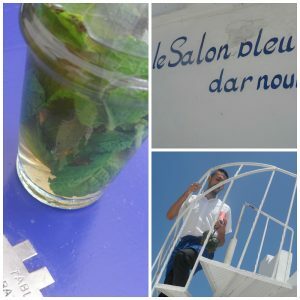 I needed that mint tea! 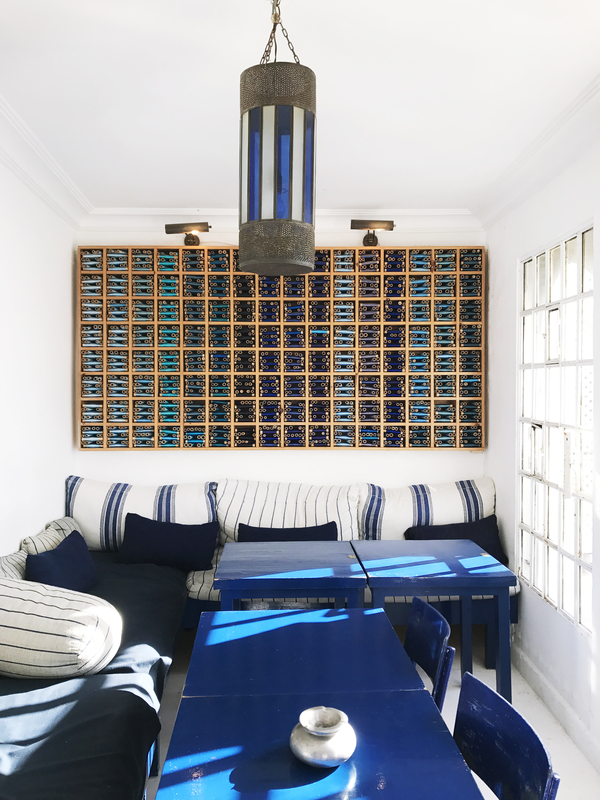 And le salon bleu was the perfect place to retreat to – so put it on your list if you find yourself with time to spare in the Kasbah of Tangiers! Good tea, good decor, good location – what more does a girl need? 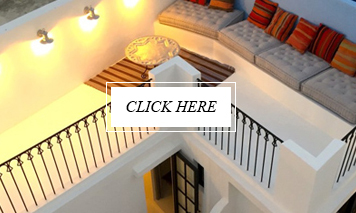 It is connected to the hotel Dar Nour, a place which I haven’t stayed at yet (they where fully booked ) but it is definitely on my list for next time!